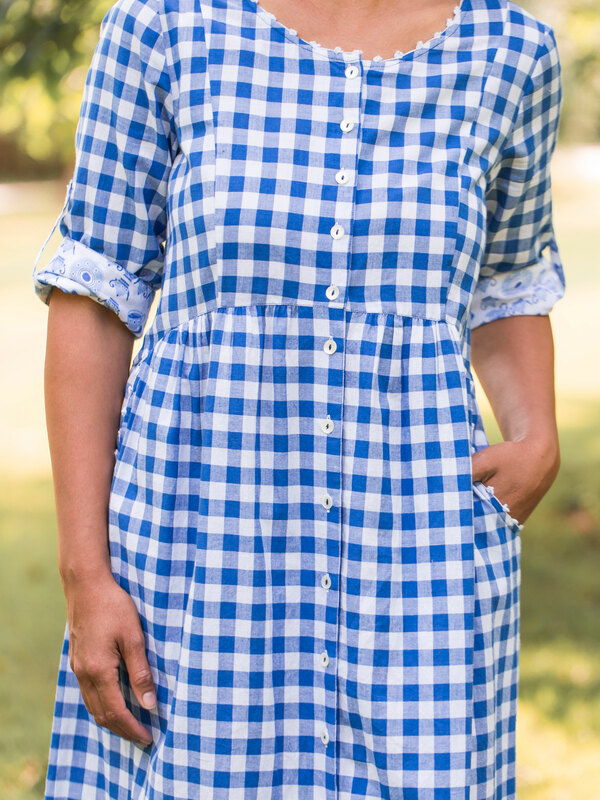 A summer sky plaid in the softest cotton you'll ever know! Simple and beautiful, the Dina dress is comfy and cool and adorned with the little details you love. 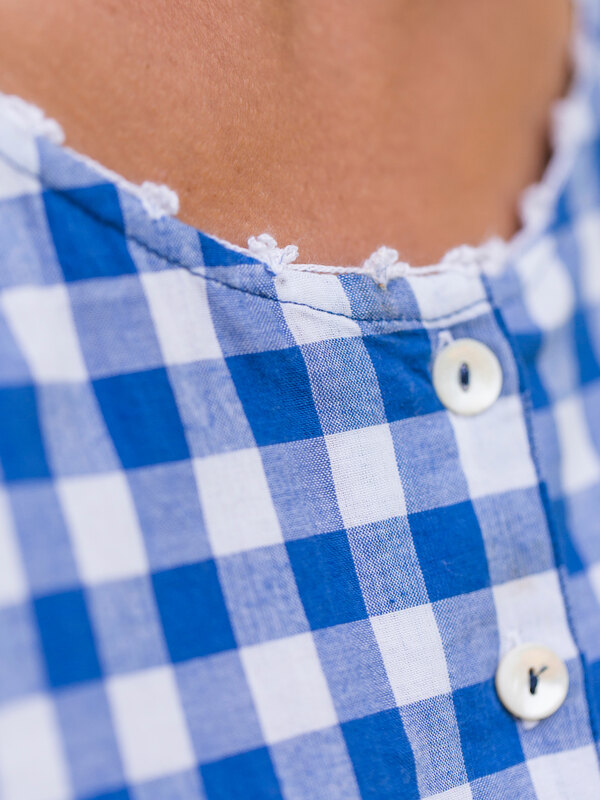 Delicate embroidered trim around the neckline and scoop pockets, contrast print inside the cuff with a button up tab on the sleeve. 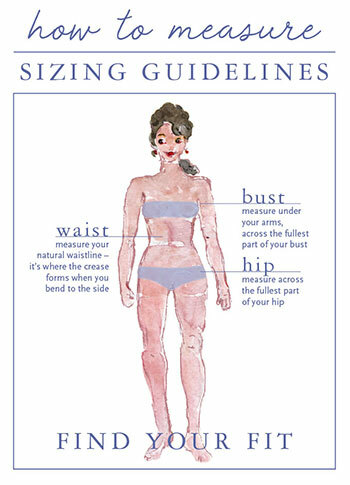 I love the dress but I ordered a size LG and I usually order XLG so it is too snug in the top but hoping to lose some weight so maybe this will give me the incentive to lose. 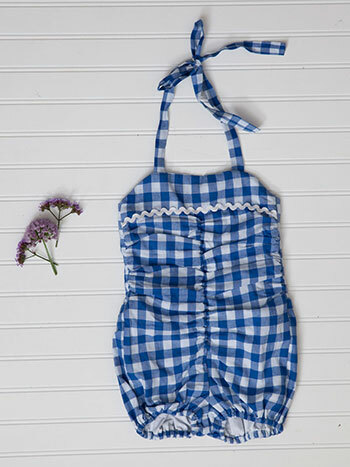 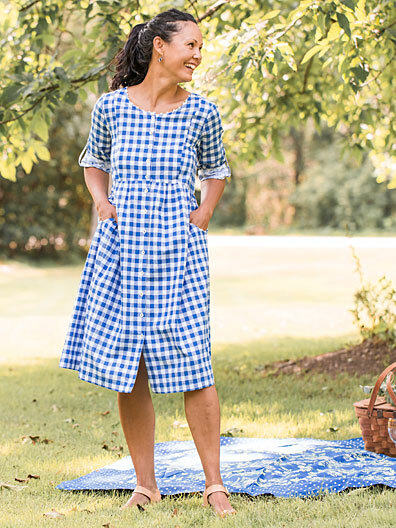 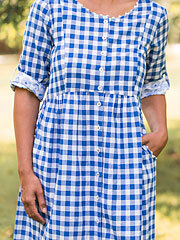 LOVE the beautiful gingham color and the comfy style. Feminine and pretty. 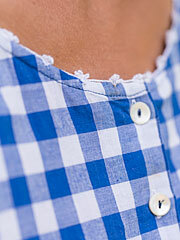 Only thing I would change is I wish some of these cottons were a little more wrinkle resistant!